Classic first-person adventure game, Shadowgate, has been remastered and is coming to consoles. Players will be able to embark on this fantasy adventure starting from April 11th. Traverse the living castle to defeat the evil Warlock Lord, Talimar the Black. 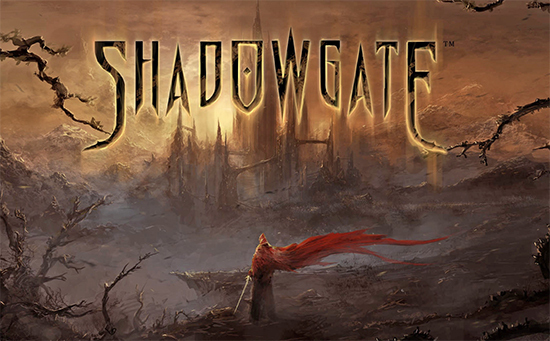 With nothing but your wits and cunning to guide you, venture through the dangerous world of Shadowgate. Take on devious puzzles and fearsome foes as you explore this tale of epic fantasy. A true classic of the 80s, Shadowgate captured players' imaginations and became beloved among a generation of adventure gamers. To ensure that this remake keeps all of the game's feel and tone, the original developers have returned with their new studio, Zojoi, to improve and expand upon their vision. New visuals provide a fresh look to every environment, reinvigorating the fantasy world. But the developers at Abstraction have gone even further, working with Zojoi to create puzzles, areas and story to expand on the fiction of Shadowgate. To face these fresh challenges, you must be properly prepared. This console remake introduces a radial menu system designed to offer the best possible experience on a controller. For those wanting a more traditional Shadowgate adventure, there are plenty of options available. Four levels of difficulty can be selected, with the highest one providing a more... traditional experience. You can also select the original chiptune music from Hiroyuki Masuno and retro visuals to set the old school mood. Nintendo Switch and Xbox One players can preorder the game now, while PlayStation 4 owners will have to wait until April 11th to purchase the game.